Groups are a way to organize Users. Generally this is used to define departments or teams within your company such as “Customer Support Tier 1”, “Developers”, “Billing”, etc. A user can be a member of more than one Group. 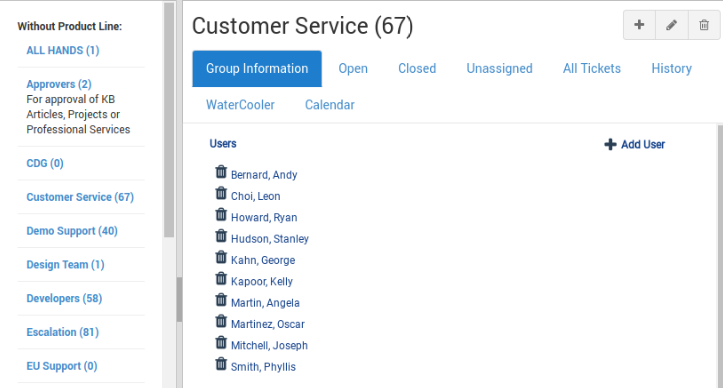 It’s important to note that Groups are used for a number of things within TeamSupport including ticket assignment, user rights, and even notifications in the WaterCooler. Get started here by Adding a New Group.